These beautifully designed cards celebrate the beauty of marriage and the testimony of a lasting love. Each card includes a Christian sentiment and KJV Scripture. 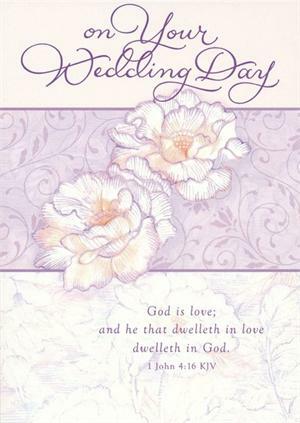 Includes 12 cards, 3 each of 4 designs (6 wedding/6 anniversary), envelopes plus 2 bonus postcards; cards measure 4.75" x 6.5"; postcards 4.25" x 6".